Marrion Johnson is a Black, queer storyteller and communications strategist based out of Oakland, California. Born and raised on the South Side of Chicago, Marrion uses storytelling to speak to the complex realities facing Black communities, including displacement, queer and trans identities and Black Joy. 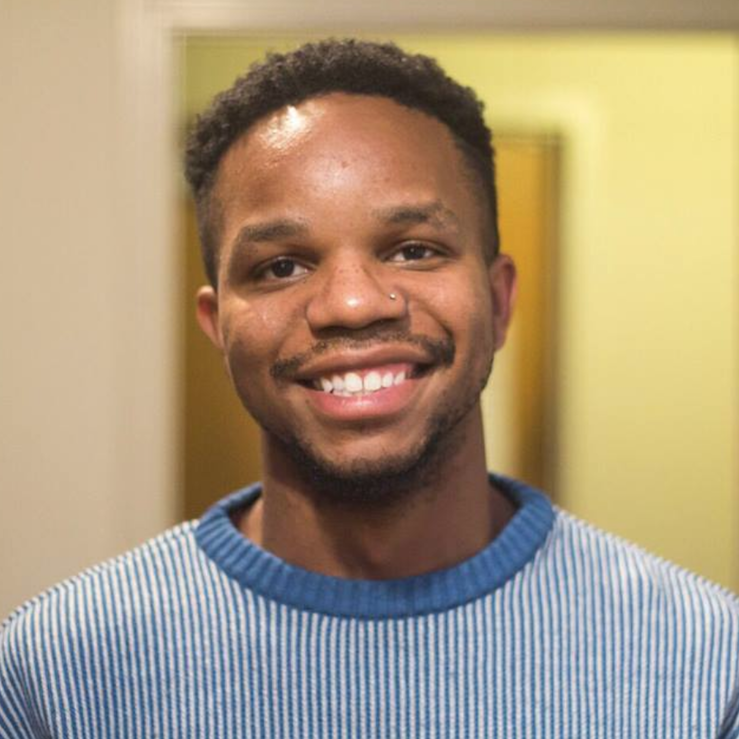 Through his work, Marrion supports nonprofit organizations and small businesses, centering racial equity and LGBTQ justice, by helping them uplift and share compelling stories online. He serves as the strategic communications + programs lead for Khafra & Company, a dream incubator in Oakland, investing in communal actualization. Marrion also holds a Bachelor’s degree in Communications and African American Studies from Northwestern University. Marrion has called Oakland home for three years now and looks forward to continuing to building and growing with community everyday.